1 1/8" H x 2" W - 4ozs. 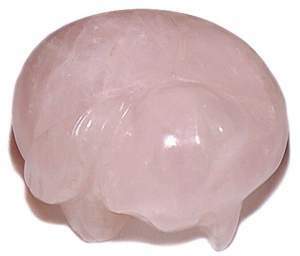 Large curled up sleeping cat in soothing Rose Quartz. Excellent Feng Shui accessory for good fortune and prosperity. Rose Quartz is the traditional lover's stone.